There is lots of snow and ice here in Pennsylvania, schools are closed and I am at home safe and warm, but my thoughts are taking me to a much warmer place. When we were in Hawaii this past April we spent one whole day on the beaches around the North shore. The waves were more than gentle in April but now in February, I’ve heard, they are breaking at record heights. I remember seeing 30 foot waves when I lived in Hawaii, but sometimes I would have some unsettling thoughts about waves crashing over me. At a safe distance I like watching the big waves but in general I will take the smaller ones that speak of peace and tranquility. The crashing, dashing waves are fun to watch as well and call for endless pictures. The surfer wants the ones they can catch. 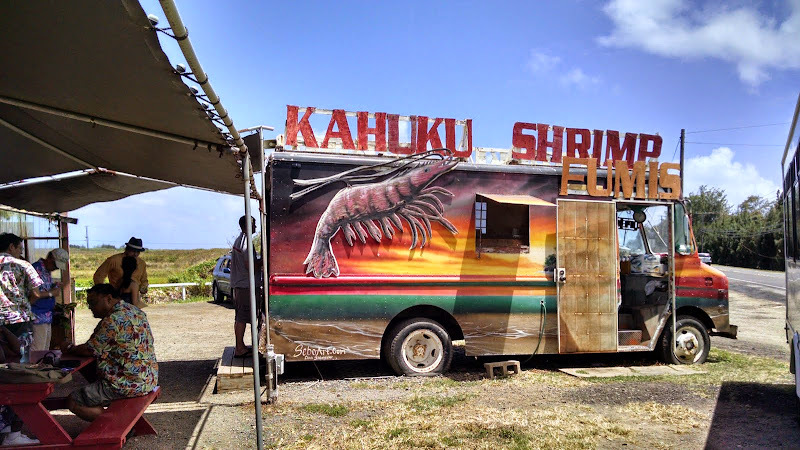 A stop at a shrimp truck is highly recommended by anyone you talk to. We complied and I had my fill of butter and garlic shrimp and more rice than I could handle at one sitting. After lunch we found Makaha beach and on both sides of us the wave were breaking and there were surfers, but where we went in there were only nice swells. The water was delightful and we stayed for about two hours. We were the only ones in the water and no one on the beach. We had been warned to get away from Waikiki area on the weekend, boy did we ever! John is good at getting deals. Before we left this morning he was calling about some dinner cruises out of Waikiki. We thought they would be to expensive but he saw some good adds. The guy at our desk was quoting eighty two dollars per person and said the one in the add didn’t exist. John called the number on the add and after talking for a while got us a cruise for thirty one dollars per couple. We were ready to go but we weren’t quite sure what this price would produce. They provided free transportation to the boat. We were picked up at our hotel and boarded the bus with a bunch of rowdy Texans who were already about three sheets to the wind. However, at the dock they went right we went left. They paid eighty two dollars for dinner, we paid fifteen for a bar-b-Que. Their boat was packed full, ours had less than 25 people on it. We had one musician who was a music teacher and did this boat job part time. There was also a young Hawaiian girl who danced. She was a beautiful sweet girl. They entertained us and we got to visit with them for a while. On the way in to shore after dinner I requested the song “Sweet Someone,” one of my favorite Kui Lee songs, and our on board musician did a great job singing it. Our young Hawaiian dancer did “Little grass shack” at Karen’s request, and to top it off, the guys presented Karen and I leis for the night. Best fifteen bucks we ever spent. We got back to the Condo by 8 pm and spent the rest of the evening in the hot tub up on the roof. (Does anyone out there remember the words to Sweet Someone? I tried to look them up but could not find them. Here is what I remember. “Sweet someone, whoever you may be, sweet someone you suit me to a tea, although you pay no attention to me at all, one kiss and needless to mention, I had to fall. How I wonder what’s keeping us apart, don’t wonder, just give away your heart.” That’s all I can remember. He also wrote I’ll remember you which was another one of my favorites, back in the day. 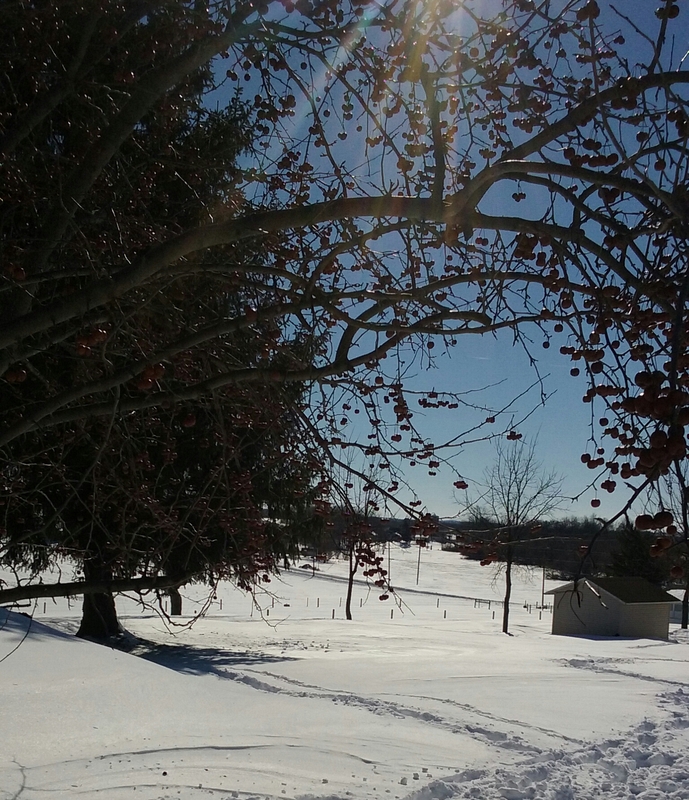 Well now that I wrote that, reminisced and looked all the waves, the sun is out here in beautiful, snow covered Pennsylvania.